Welcome to Lambaria Eyecare Associates! 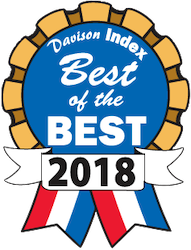 Dr. Andres Lambaria was voted Best of the Best eye doctor in Davison, MI. He provides the highest quality eyecare with the latest technology available. At Lambaria Eyecare Associates you will receive a complete and thorough eye exam and your eyewear will be specifically designed to meet your individual needs. Our goal is to exceed your expectations so you have an enjoyable experience while we care for and protect your eye health. We are committed to ensuring your vision is clear for the rest of your life. You can trust the health of your eyes to Dr. Lambaria and the staff of Lambaria Eyecare Associates. To schedule your eye exam call 810-658-2020 today. We look forward to seeing you! In everything we do, we aim to provide our friends, neighbors, and the surrounding community with quality eye care and optometric expertise in a setting that is comfortable, friendly, and organized.